UMR Engines is the place to go for all your brake requirements. We have highly trained mechanics that specialise in brake replacement, brake repairs and brake upgrades on all makes and models. Brakes, Steering & suspension are the three most important safety factors on your motor vehicle. 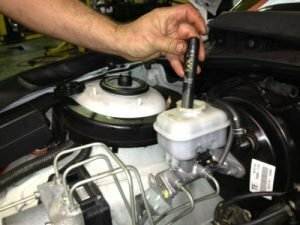 When ever we do a vehicle service we look at these three critical areas to ensure your vehicle is reliable and most importantly safe for you and others on the road. 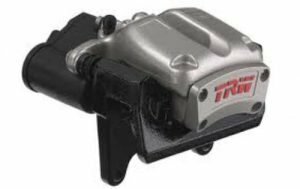 At UM R Engines we can test your brakes with our brake meter to determine if your vehicle has acceptable stopping power. Our qualified mechanics will repair and maintain your brake system to give you the best possible stopping power for your model car. 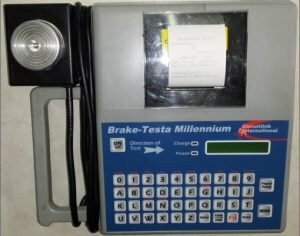 We check the condition of your brake fluid for water contamination with an electronic tester. The tester determines whether the % of moisture in your brake fluid is at an acceptable level. 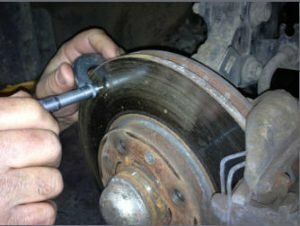 (This moisture contamination occurs naturally from the atmosphere as brake fluid is a hygroscopic material) If the moisture level is outside safe limits irreversible corrosion damage is occurring inside your brake master and wheel cylinders. This corrosion can lead to brake fluid leaks and eventually brake failure. We select pads for your vehicle that are suitable for your driving conditions and budget. We always recommend the best available pads be fitted as this will ensure accurate stopping under adverse conditions. 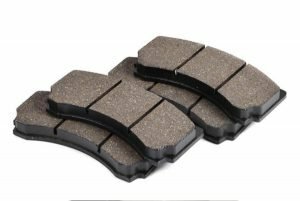 Brake pads are manufactured to meet minimum set parameters and quality. Brake pads are available in various quality ranges. Some pads wear faster, stop faster, are quieter or are dustier. A good quality pad should stop with minimum noise, be soft enough to prevent premature disc wear and demonstrate excellent stopping power under all conditions. We check the condition of all flexible rubber brake hoses. The brake hose is the most common part to cause instant pedal loss and brake failure. Perished brake hoses are one of the most common faults found when doing a RWC inspection on a vehicle. This failure rate on RWC safety inspections indicates that this part is often overlooked when maintaining brakes and servicing vehicles. 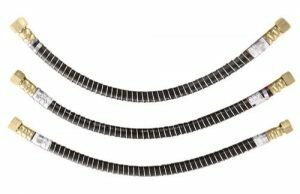 Twisted and perished brake hoses are easily overlooked but are the backbone of the braking system. UMR Engines is the place for your brake repairs, brake fitting or replacement service. UMR Engines highly trained technicians can diagnose and repair your brake system, from brake pad and shoe replacement, brake hoses, brake lines, brake master cylinder replacement, wheel cylinders, brake callipers and even test or change your brake fluid. UMR Engines can machine your brake disc rotors or drums and supply quality brake parts at a discounted price.